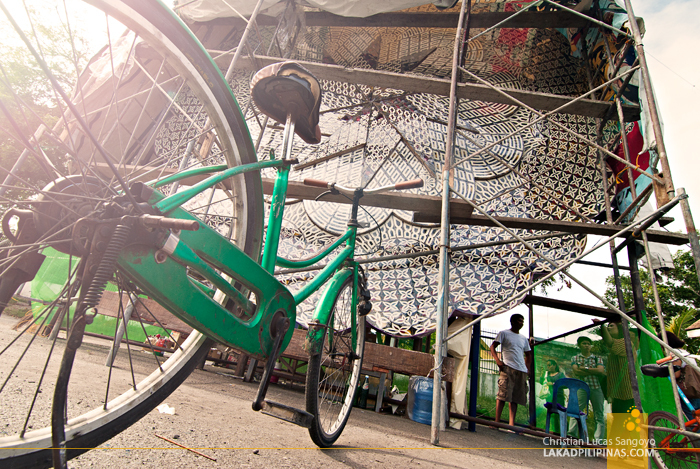 On an open plaza somewhere in San Fernando City, a twenty-foot freestanding structure mysteriously covered by a tarpaulin stands at the center of the square. 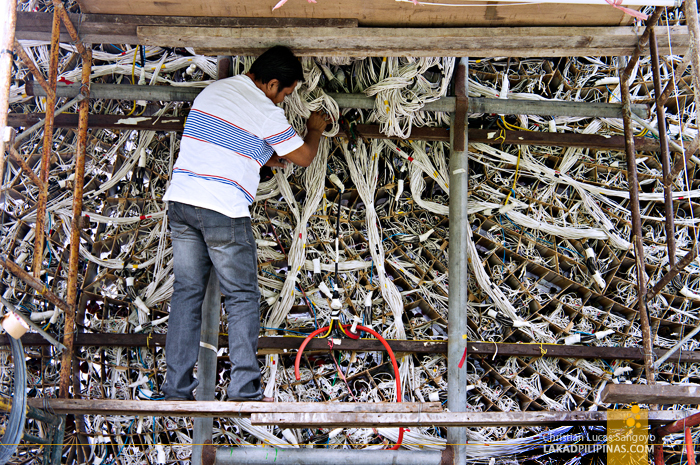 It was almost Christmas time, and like a giant gift, a massive Christmas lantern, one of Pampanga’s famous giant parols, was slowly being unwrapped right before our eyes. I have never attended Pampanga’s famous Ligligan sa Parul festival where barangays from all over San Fernando City proudly showcase their giant lanterns, but I do have a somewhat hazy memory of seeing them when I was a kid at the now defunct Paskuhan Village. 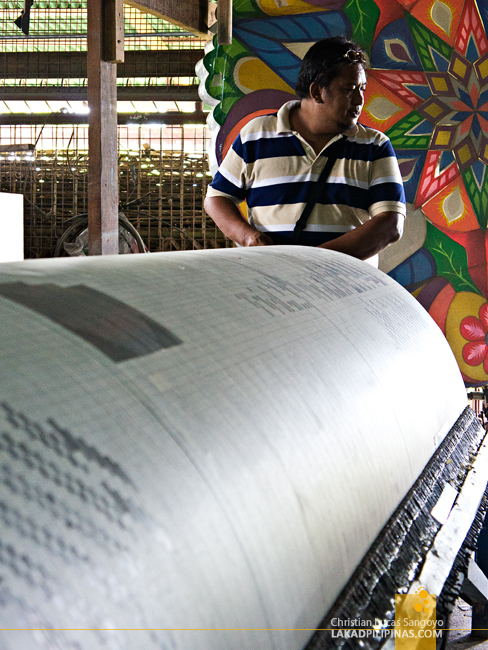 Now, decades later, I’m back at Pampanga to witness how these giants are made. After having the customary Kapampangan snack at Nona’s Kitchen, our group proceeded to barangay Telabastagan to check how they’re doing with their giant lantern. We were met by Arnel Flores, their lantern designer. Their parol topped last year’s competition and they’re hoping to keep the title this year. 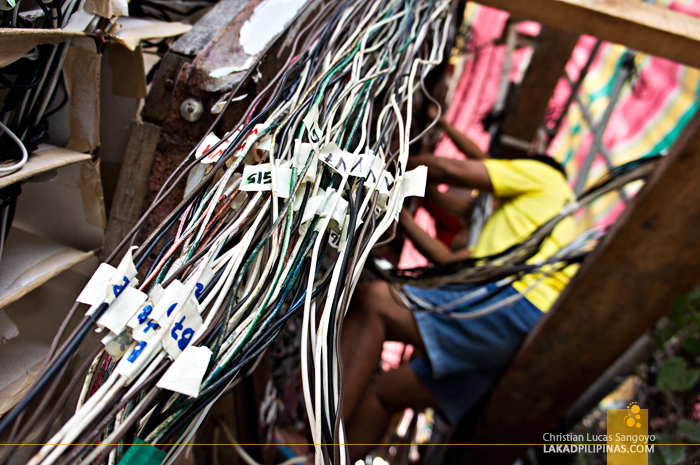 Moving to the back part of the parol, I was shocked by the tangles of wires snaking into chaos. I was simply dumbfounded with the complexity of lighting a giant lantern. Now I understand why it takes more than three months to completely build one. 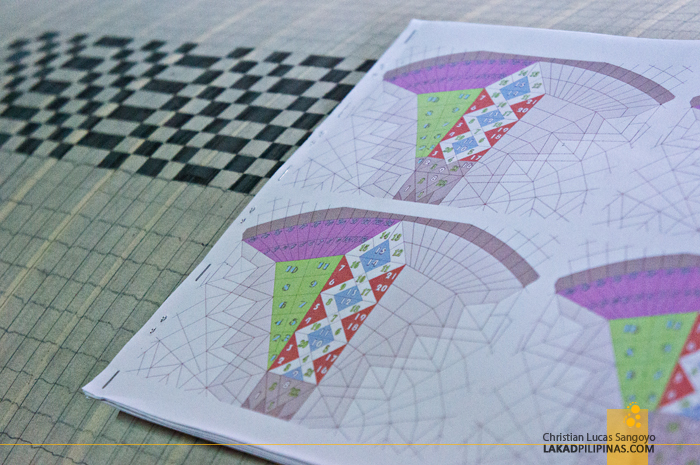 There are three main parts in designing a Kapampangan giant lantern. From the center, the tambor or drum-like central area, the pontetas which edges the previous, the palimbum which makes up the kaleidoscope-like parts of the parol and the siko-siko or the diamond-like parts of the lantern. But a parol’s design, even with its lights and wires all installed are nothing without the parol rotors; these are what makes these lanterns dance with light. At barangay Sta. Lucia, Eric Quiwa, who has been doing this in his head since high school, demonstrated to us how it all works. 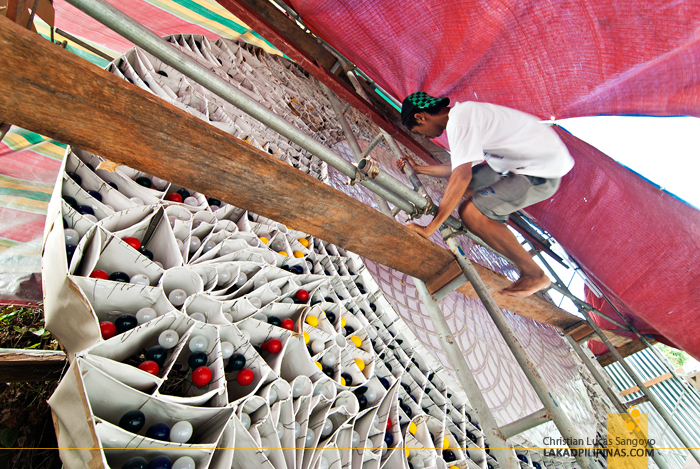 Circular metal barrels about three feet in circumference and ten feet long, wrapped in masking tape, drawn with squares like a graphing paper, and cut with patterns, are set right at the back of the giant lanterns. The peeled off parts with the exposed metal will light up the lantern once it makes contacts with the pins at the side of the rotor. If it sounds complicated, it’s because it is indeed super complicated. These rotors are manually turned by mortals. The giant lanterns we see on national television every Christmas season are not computerized as I first thought they once were. They are operated by people. And the crazy thing about it is that out of the three songs they’re gonna be lighting the lanterns for, two of them are absolutely unknown to them. They have to light the parols spontaneously as the song plays. 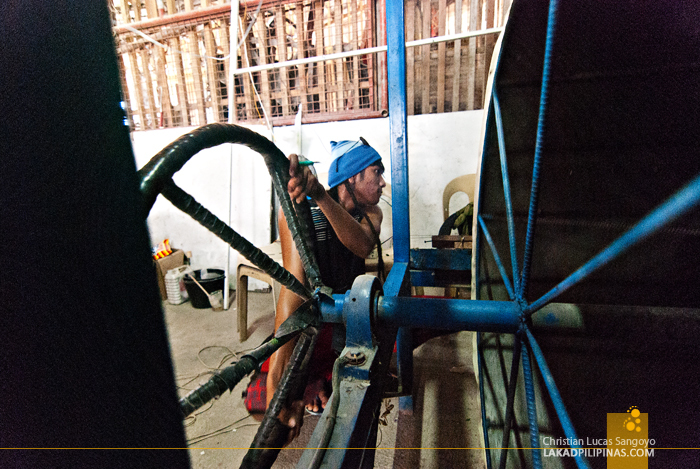 An inside view of barangay Sta. 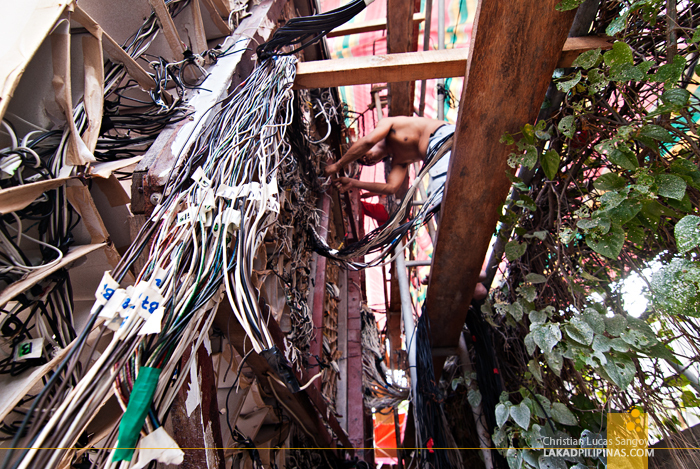 Lucia’s giant lantern reveals another chaotic mess of wires. With just two more weeks before the competition starts, they’re really kicking into high gear. They don’t wanna disappoint their co-barangays they said. When asked why, they simply laughed. 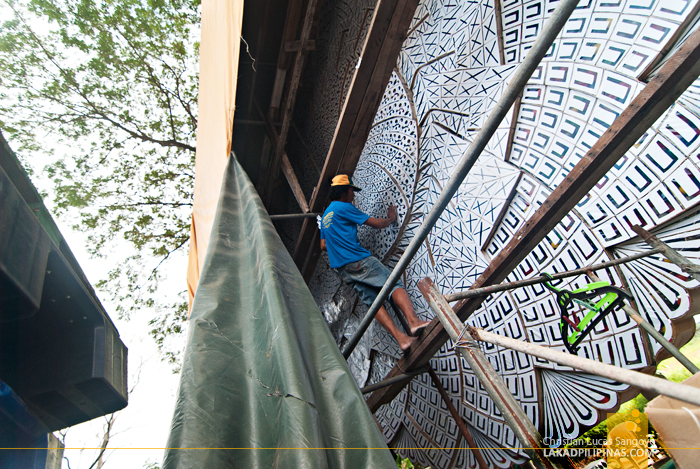 You just don’t want to do that, aside from the risk of facing an angry mob; making giant lanterns has been a tradition here in San Fernando that’s rooted all the way from the Spanish colonial period. Right out front, I saw a lantern maker sealing off the compartments where the parol’s light bulbs are located. The materials that make up the lanterns are quite flimsy, cardboards and tapes supported by a metal frame. These are usually taken apart right after the competition and kept for making next year’s lantern. 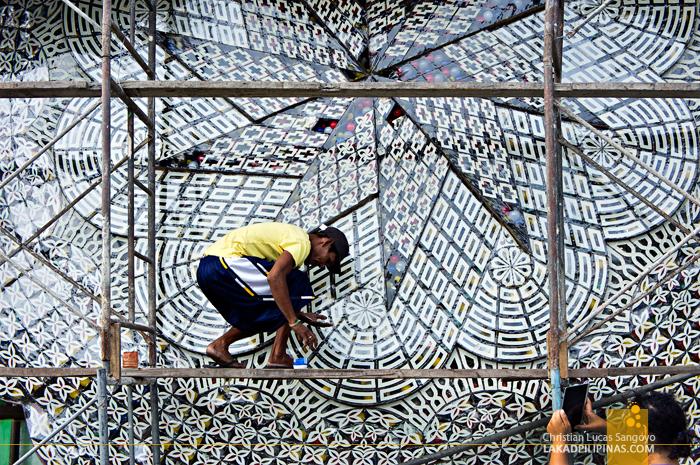 Apparently, it takes a lot of moolah to build these giant lanterns. An average of half a million pesos is spent in finishing one; that’s a lot of money and effort, considering the prize pot is only Php130,000.00. 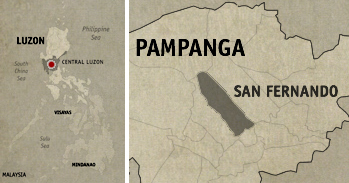 This year, nine barangays in San Fernando is vying for the title, add those up and that’s almost a cool five million pesos spent in giant dancing lanterns. So why do they still do it? 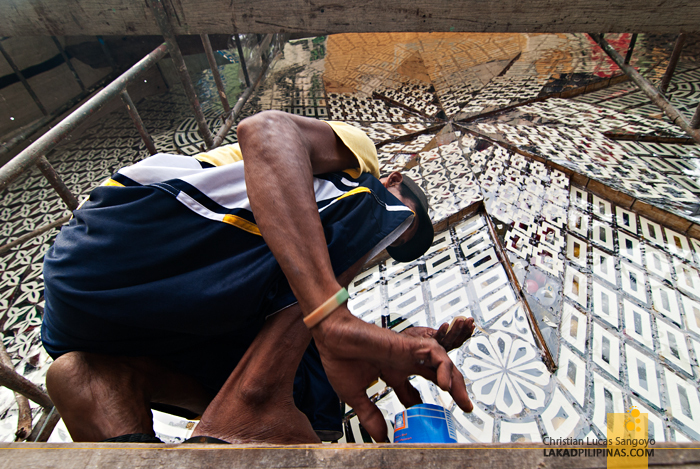 Edwin David Jr., the lantern designer of barangay San Nicolas, explains that they obviously don’t do it for the money. The prize is simply too small, he says. It’s all about pride, the tradition, the prestige of winning, of being recognized as having the best parol in town. That’s why we do it, and will still do year after year after year. I thought it was electronically operated. Now, that's a whole lot of manual labor. True! Lighting up a giant lantern requires a whole lot of effort! Look at the man in these pictures is very similar to Spiderman, hihi. Haha, true! These guys are awesome! Sir, good day! This write is enticing. Now, I want to see firsthand the cobstruction of these lanterns. 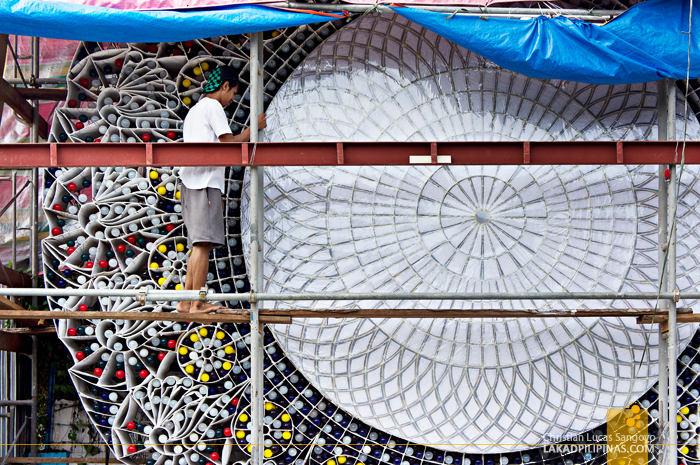 Do you have idea where exactly these parol are being made. The factory site per se. Thank you. Hi Billy, each barangay has its own construction area and I think it's not the same each year. What you can do, know which barangays are joining the current year's giant parol festival, then contact the barangay hall. I'm pretty sure they can direct you to where the giant parol is being constructed. Good luck!